It would be criminal to visit Argentina and not see one of the Seven Natural Wonders of the World. Iguazú Falls comprises 275 unique waterfalls, situated in a vast swathe of UNESCO-protected jungle that straddles the border between Argentina and Brazil; the falls can also be reached via Ciudad del Este in Paraguay. 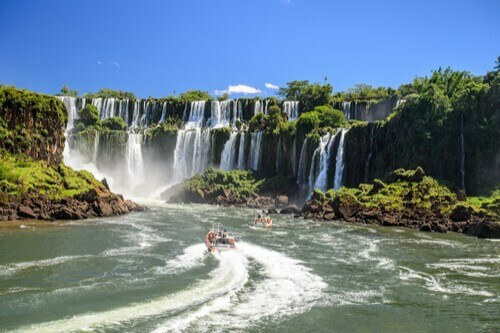 The biggest attraction here is undoubtedly the Garganta del Diablo or Devil’s Throat, best experienced up close via a specially engineered walkway. But it’s not just about the waterfalls – the park boasts a wealth of protected jungle – the last remnants of the Atlantic Forest – featuring numerous biodiverse ecoregions, and unique flora and fauna that can only be found in this area. 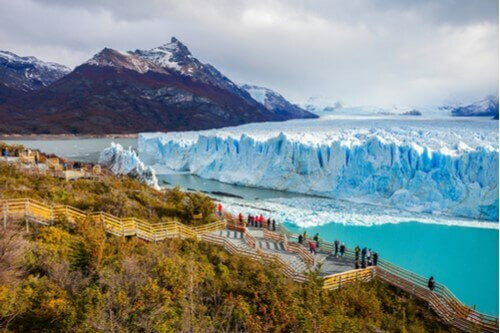 Spanning 600,000 hectares, Los Glaciares National Park is the third largest glacier park in the world, and was declared a UNESCO World Heritage Site in 1981. Nestled in the Andes mountains, the park sits next to the Torres del Paine National Park in Chile, and features a massive glacial ice cap, several glacial lakes and minor glaciers, and unparalleled views. Stay in the rugged mountain town of El Chaltén (Telhuelche for 'smoking mountain') considered to be the trekking capital of Argentina because of its popularity with hikers, climbers, and adventurers. Its eponymous mountain, Cerro Chaltén, is also known as Mount Fitz Roy, named for the explorer Captain Robert FitzRoy of the HMS Beagle in the 1830s. 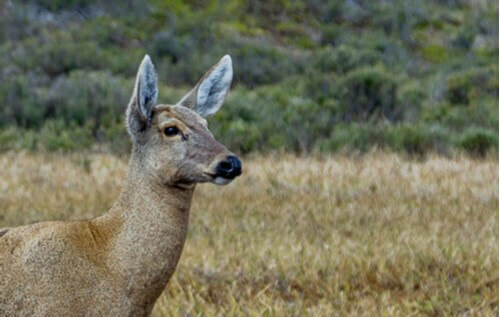 Indigenous wildlife includes the huemul, a native species of deer that is close to extinction. For those already planning to visit Los Glaciares National Park, be sure to swing by the Southern Patagonian Ice Field for breathtaking glacier-scapes bathed in dramatic, moody light. This enormous freshwater ice field is home to the icy-blue Perito Moreno Glacier, which is unusual in that unlike most other glaciers in the world, it is growing, not shrinking. Visitors can trek across the ice, and if they’re lucky, watch the glacier 'calve' new icebergs. This is Argentina’s oldest national park and covers almost 2 million acres of different terrains and landscapes, including its eponymous lake, the Andes mountain range, and the Valdivian Rainforest. 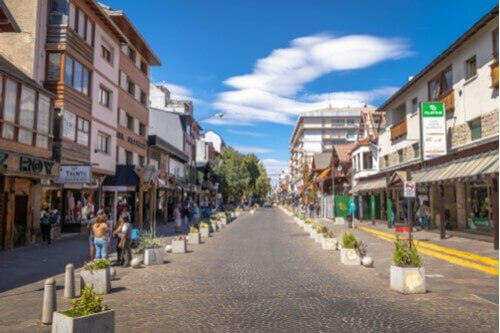 Nahuel Huapi is also home to the popular tourist destination of Bariloche, but given its enormous size, there are plenty of other sights to see, including the ice-covered Lanín volcano. Like many other Andean destinations, Nahuel Huapi is bordered by Chile to the west. Many species of otter live here, including the endangered huilin. 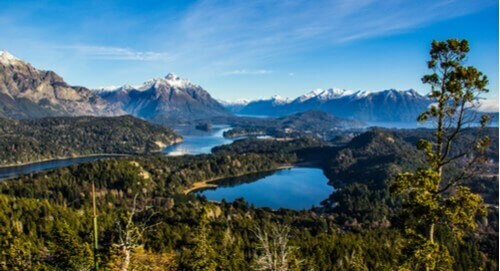 Besides Bariloche, other scenic towns in the park include El Bolson and Villa La Angostura. If you’re a fan of chocolate, put Bariloche down on your list of places to visit, and thank us later. Once known as the honeymoon capital of Argentina, this charming mountain town looks like something out of a European alpine storybook. Its name is derived from the Mapudungun word variloche, meaning “people from behind the mountain,” referring to indigenous tribes who used the mountain pass to avoid Spanish invaders. Over time, Bariloche has become a popular destination for skiing and other winter sports, and during summer, every other outdoor sport imaginable: whitewater rafting, climbing, kite surfing, paragliding, kayaking, canyoning, horseback riding, ziplining, mountain biking, fishing, and hiking; keep in mind that the lakes stay impossibly cold because of their proximity to the snowy mountains. 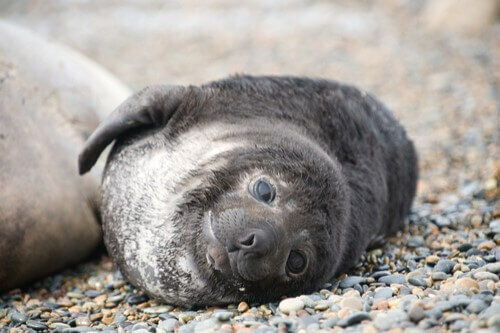 Located on the Atlantic coast of Chubut province, Península Valdés is a stunning UNESCO-protected nature reserve teeming with spectacular wildlife, including guanacos, pichi (dwarf armadillos), southern right whales, fur seals, elephant seals, and sea lions. As a result, the peninsula is a critical site for many marine creatures during breeding and nursing seasons, as well as opportunistic orcas that purposely beach themselves to grab an unsuspecting lunch. While the peninsula appears as a desolate landscape, Península Valdés is home to multiple rich ecological systems, spread across tidal flats, salt lakes, mudflats, rocky cliffs, sand dunes, and beaches. Most visitors base themselves in the nearby city of Puerto Madryn (originally a Welsh settlement) or Puerto Pirámides, which is the only town on the peninsula itself. The capital of Tierra del Fuego is full of hidden delights, including animal-watching along the Beagle channel and the easily-accessible Martial glacier. Ushuaia is also home to the historic End of the World Train, Les Eclaireurs Lighthouse, year-round ice hockey, and some excellent skiing options, including the Martial mountains and Cerro Castor. 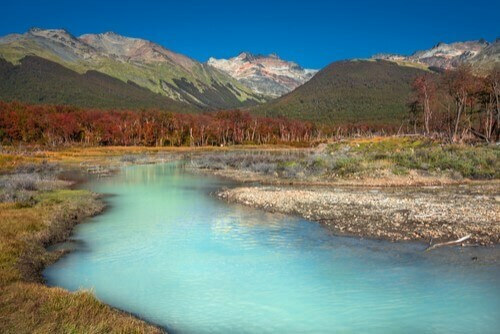 Nearby is the Tierra del Fuego National Park. If you’re venturing on toward Antarctica, Ushuaia is also a clearinghouse for travellers coming and going to the south pole – some choice eavesdropping in a local coffeehouse or pub yields some excellent stories. Argentina’s tallest mountain sits pretty at 6,961m, making it the highest point of the Andes. Its surrounding area is part of the Aconcagua Provincial Park, which is pristine and unspoiled thanks to the park entry fee. 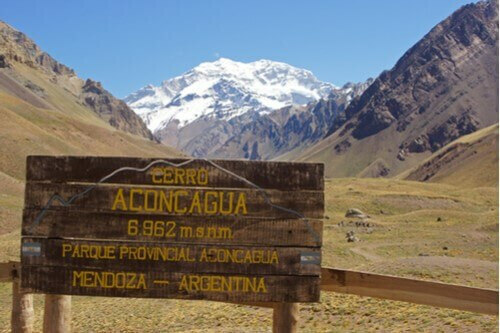 Even if you’re not a keen mountain climber, Aconcagua has great hiking, camping, bountiful opportunities for nature photography, and even a base camp art gallery. 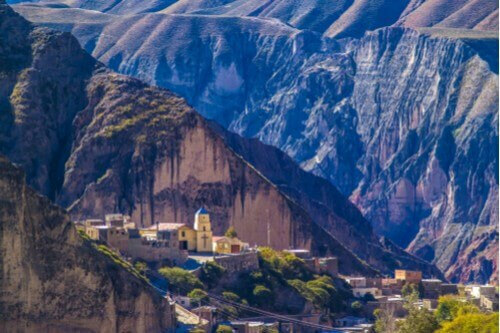 While many of Argentina’s biggest natural draws are in the south, an underappreciated northern destination is Jujuy province, which borders Chile and Bolivia. Dotted with the remains of ancient stone fortresses and pre-Incan structures, Jujuy’s is a stark, natural beauty that tells the stories of its many indigenous tribes, including the Aymará, Quechua, and the ancient Incas; terrain in the area ranges from the protected sliver of Yungas jungle, to the multicoloured mountain landscapes of the Quebrada de Humahuaca, a UNESCO World Heritage Site. Come for the incredible remains of pre-Columbian cultures, Cerro de los Siete Colores (Hill of Seven Colours), the Laguna Pozeulos nature reserve, and the beautiful, remote hiking around Iruya village. 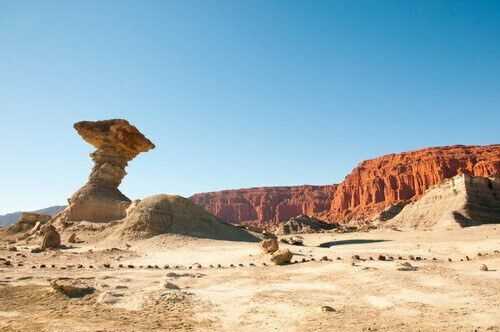 Northwestern La Rioja Province is home to the adjacent Ischigualasco and Talampaya National parks. This is a dream destination for dinosaur buffs, as these contiguous parks contain 1,500-year old petroglyphs, paleontological fossils, and geological structures from the Triassic period, over 200 million years ago. Ischigualasto, also known was the 'valley of the moon,' is a surreal sight filled with strange geological formations, literally named by indigenous peoples as 'dead land.' Visitors will need to get a guide to visit the remains of Talampaya’s Lost City, which lies in an enormous crater.